You may have heard over the years that you should replace your mattress every eight years. Have you ever wondered if this is a true statement? The Better Sleep Council does indeed recommend replacing your mattress every 7-10 years. The reason that they give a range of years is because it depends on how you take of your mattress, how often you sleep on it, and how often you take the time to rotate it. So if your mattress is ready to replace how on earth do you know which one to pick? With so many mattresses on the market it can seem impossible to know which one will be the best fit for you. We have some tips for you today on how to make your selection. •	Research: Since a mattress is a larger purchase you do not want to have to purchase again soon because the one that you purchased just isn’t comfortable. Do your research before you start shopping. You will want to know what your personal needs are and what your budget is before heading out to the store. There are many different mattress sizes and types to be considered. •	Reviews: There are many sites that you can go on to find reviews for mattresses. You will want to make sure that you read reviews from a website that you trust. Some websites pay the people that review their products and so the reviews are not as accurate. Reading reviews will help you see what types of mattresses other people have like or disliked and what their reasons were. •	Store selection: There are so many stores that sell mattresses. You can purchase mattresses at furniture stores, department stores, sleep specialty stores, and online retailers. You will want to choose a store that can provide you with the information and customer service that you need and deserve. The salespeople at the store can be a wealth of knowledge. When you are at the store you will want to ask questions and expect detail explanations when needed. If your salesperson is not providing excellent customer service, try a different store. o	Lie down in your typical sleep position. o	Evaluate the level of comfort and support. o	Educate yourself about each selection. o	Partners should test beds together. The Better Sleep Council recommends taking up to 15 minutes on each mattress that you are considering purchasing. The more time that you take in selecting your mattress, the more likely you are to be satisfied with your purchase. Once you have completed the steps above you can feel more confident with your purchase because you will have taken the time to truly make an educated decision. After all you are going to have this mattress for the next 7-10 years! Leading Carpet Cleaning wants to remind you that no matter what mattress you select, you make sure that you properly maintain your mattress. You should wash your sheets every week, vacuum the mattress and box spring each month, and have a deep professional mattress cleaning every year. Give Leading Carpet Cleaning a call today to schedule your next mattress cleaning. Facing the realization that you are allergic to one of your favorite loved ones can be a tough pill to swallow. Discovering your allergy to your kitty or pup friend can be difficult to manage. Where some can control the dander to an extent, others have it so severe they have no choice but to rehome their furry friends. In an effort to help those who want to make the relationship work, we at Leading Carpet Cleaning would like to offer some tips to managing the pet dander left behind by your dog or cat to minimize the allergy effects. 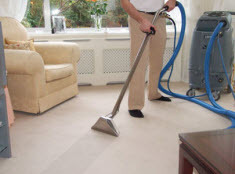 Removing dander from the home is near impossible but you can significantly reduce it. Minimizing the amount left in the nooks and crevices is the goal as the more that accumulates for longer periods of time can trigger your allergies more frequently and keep the symptoms from clearing up. Pet dander is a stubborn protein-substance that sticks and settles everywhere. Maintaining your home is the primary contributor to reducing the pet dander; below are the basic points. Wash hard surfaces regularly. The walls, tabletops, baseboards, countertops, and other hard surfaces need to be washed with hot soapy water periodically. On wood surfaces and such, a multi-purpose surface cleaner can also be used to wipe away the dander and keep it from spreading. Curtains and upholstery need routine cleaning. Our pets indulge sleeping, sitting, and lounging on the furniture, even if it must be done behind your back. To control the daily dander, a lint brush works well. Additionally, vacuum the upholstery once a week to remove the dander left behind. Curtains should also be washed according to the directions because the dander clings to them as well. A professional upholstery cleaning should be conducted 1-2 times a year to remove the buildup that has penetrated below the surface. 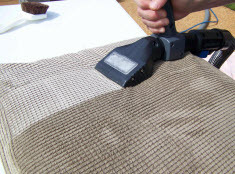 Carpets and rugs require daily vacuuming. Hiding right beneath your feet, there is most likely plenty of dander building up on the carpets and rugs. To help keep the dander from being released back into the air, invest in a double or micro filter High Efficiency Particulate Arrestin bag vacuum. Vacuuming should be done on a daily basis or as often as possible. Additionally, carpets and rugs should be professionally cleaned every 6-12 months to help control the dander that manages to elude the vacuum. Dogs and cats need maintenance too. To reduce the dander supply in the home, control the dander at its source. Despite that most of our fur babies despise bath time and would sooner give you the silent treatment, giving your cat or dog a bath every so often will help prevent a lot of the dander from landing on varied surfaces throughout your home. Additionally, a healthy diet that promotes healthy skin and fur will cut down the dander. Food with Omega 3 fatty acids is ideal but don’t hesitate to ask your vet’s advice on the matter. In an effort to help you maintain your home from pet dander, call Leading Carpet Cleaning today for the upholstery, carpet, and rug deep cleaning. If you open your cupboards and look at the amount of cleaners that you have it may astonish you. There are certain sprays for windows and mirrors and another for the bathroom sink. You also have options on how to clean stains on your carpet and polish for your wood furniture. When it comes to your tile floors there are ways to clean them too. It really depends on what type of tile you have. Tile is a generic term that can include stone or even porcelain. They each should be cleaned in a particular way but one thing that they all have in common is the grout. The grout is part of the installation of the tile and seals all the gaps in-between each piece. The grout is placed after the tile and is pressed in to also keep moisture from getting under. The grout is porous and can be stained if juice or other debris is left on it. The grout is part of the tile that needs to be cleaned on their own and with particular methods. When you run the mop you are leaving dirt and debris in the grooves of the grout. This means that the grout is not actually being cleaned. Use Hot Water Only to Clean Grout: When you are ready to clean your grout be ready for a major undertaking. Cleaning the grout is usually a large area and you have to clean each area little by little. 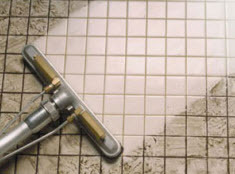 Depending in how much tile you have the cleaning may take some serious amount of time. If your grout is not too dirty or there are not a lot of stains you can use hot water and a toothbrush. Fill some hot water up in spray bottle and use it on the area that you want to start cleaning. Then use the toothbrush or soft bristle brush and scrub the grout lines. You can use a clean, dry cloth to wipe down the area after you have cleaned it. This will only be effective if the grout is still fairly clean. Cleaning Grout with Baking Soda: The next options that you have when you are trying to clean your grout is to use hot water and baking soda. If your grout has some stains from spills this may be a good option to try. You want to fill your same spray bottle with hot water and spray areas. Then use the baking soda on these areas and allow it to work for a few minutes. Then you can use the toothbrush to scrub the spots taking special care on the stained parts. You can use a wet then dry rag to try and clean up any left over cleaner and water after you have scrubbed. Hot Water, Baking Soda, Lemon & Vinegar Grout Cleaning Solution: If you are really concerned about the cleanliness of your grout you can use a mixture of hot water, baking soda, lemon juice and vinegar. This needs to be used sparingly and wiped away after you have scrubbed the area. Spray the grout then immediately scrub with a toothbrush. Then wipe off quickly before it has time to damage the grout or the tile. The easiest and best way to clean grout is to hire a professional tile and grout cleaning company. Leading Carpet Cleaning can come out to clean the grout for you so that you can spend your time taking care of other chores. Call us today to make an appointment.